Team Member for the Negative! 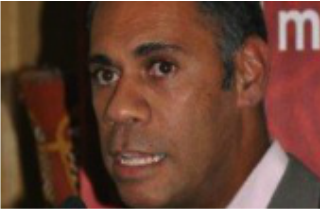 Linc Yow Yeh, appointed Indigenous Coordinator of Jim-Baa-Yer (Australian Catholic University) in March 2015, is a proud Aboriginal South Sea Islander Murri man from Queensland and of Goreng Goreng/Gunja heritage, where his Great Grandmothers’ traditional countries are situated. Goreng Goreng country is located in Bundaberg to just south of Rockhampton Central Queensland, and Gunja country, Cunnamulla south west Queensland. He was born and raised in Jagera/Turrabul Country, Brisbane, and graduated in the early 90s’ as a Physical Education/English teacher at Queensland University of Technology. Linc immediately began teaching in Brisbane then moved, taught and lived in Cape York Kuuku Ya’u country, some 800kms north of Cairns, in an Aboriginal Community known as Lockhart River, from 1993 to 1998. This is where Linc delved into teaching Adult Community Education, notably the Remote Area Teaching Education Program (RATEP), delivering teacher education to Indigenous community members to equip them with teaching, educational qualifications and tools, in order for them to teach in their own home communities. From 1999 he has spent the last 16 years working and living in Wurundjeri country, Melbourne and recently transitioned from the Vocational Education and Training sector known as VET, in which he managed the Gunung Willam Balluk Indigenous Education Centre of Kangan Institute for the last 6 years, before crossing over into higher education and the ACU. Linc is also an accomplished musician who began his musical journey cutting his teeth in the vibrant but raw Brisbane scene in the early 90's. His original 6 piece rock band Melting Pot, played support to a young Powderfinger, but reached their highest accolade when they featured in the Qld State Rock Awards final at Brisbane's Festival Hall, in the originals category. After moving to Melbourne in 1999, he ventured in the Local landscape playing solo gigs, including supporting Archie Roach and Neil Murray at Carlton's Dan O'Connell and Kerrie Gilmartin at Fitzroy's Subterrain. In 2003 he along with Bradley Boon, Gregory J Fryer and Alex Landragin formed the 4 piece Grenadines. He began writing original pieces for this band and continues to act as the main songwriter for the current Deans. In 2007 he was selected by Songlines Aboriginal Music Director Grant Hansen to develop his musical aspirations on the Songlines mentorship program, mentored by Reptiles singer/songwriter Nick Barker. He has lent his guitar and vocal prowess in support of artists like Kutcha Edwards, Monica Weightman, Deline Briscoe and Emma Donovan, whilst has also provided his drumming expertise for local bands like Wicked Annabel, The Offtopics and The Sheila's of the 70's, which features Monique Brumby, Kerrie Simpson and Rebecca Barnard. ​Linc's Chosen Charity is Camp Quality.